Good afternoon everyone! Today I have another wonderful Cosmoprof find to share with you guys. The Discover Beauty Zone was one of my favorite areas to browse this year. There was so many small brands that were all natural and was right up my alley. 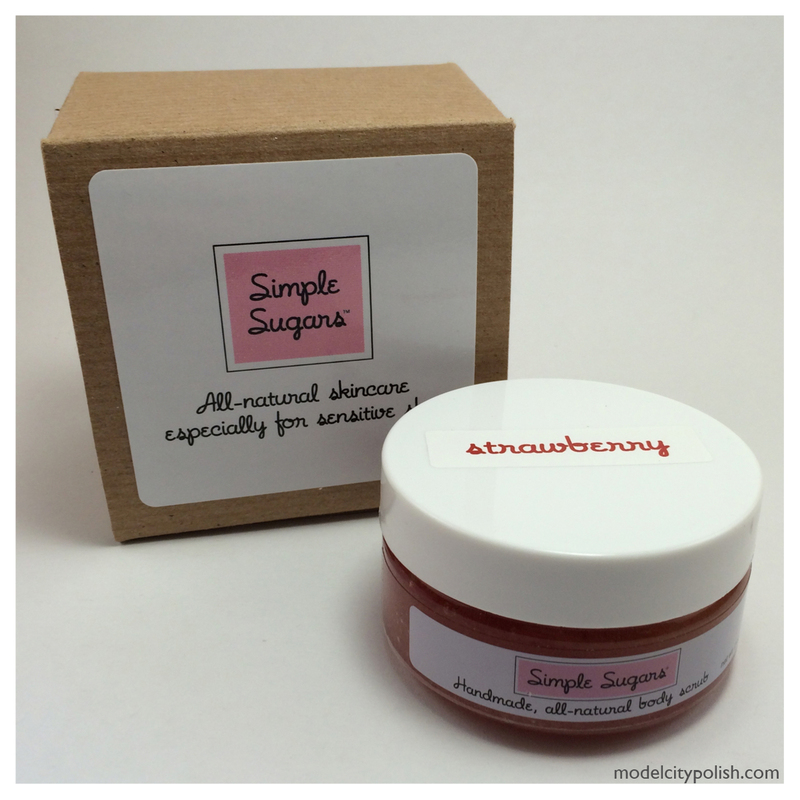 Simple Sugar was one of those all natural brands that was set up and I immediately fell in love. 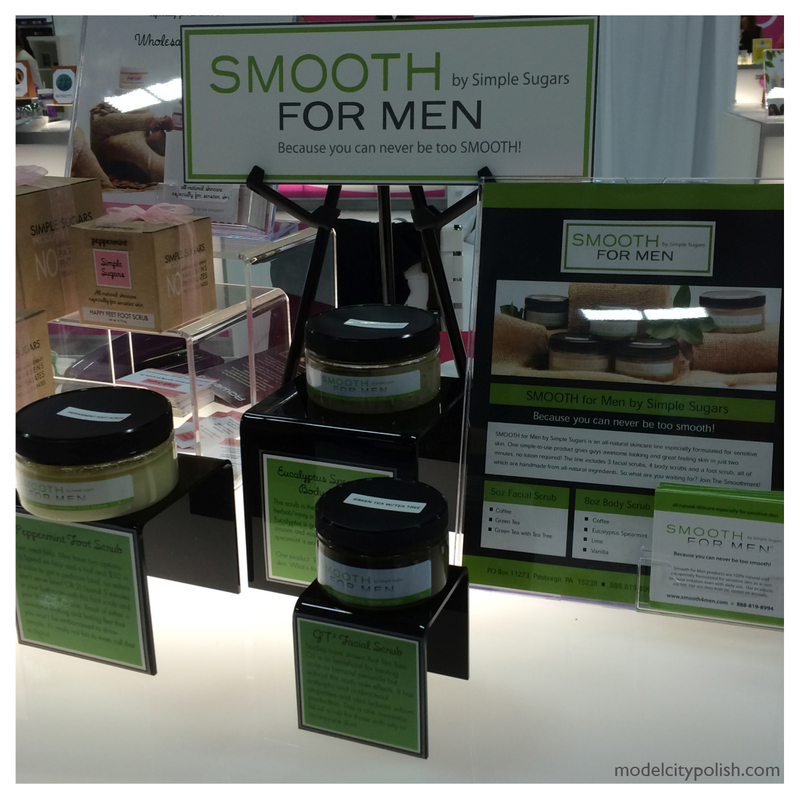 They offer a wide range of sugar scrubs that will keep you exfoliated and moisturized from head to toe. There is even a line for those men out there! I had the pleasure of trying out their body scrub while there and they sent me home with a jar of it and their green tea facial to try out. 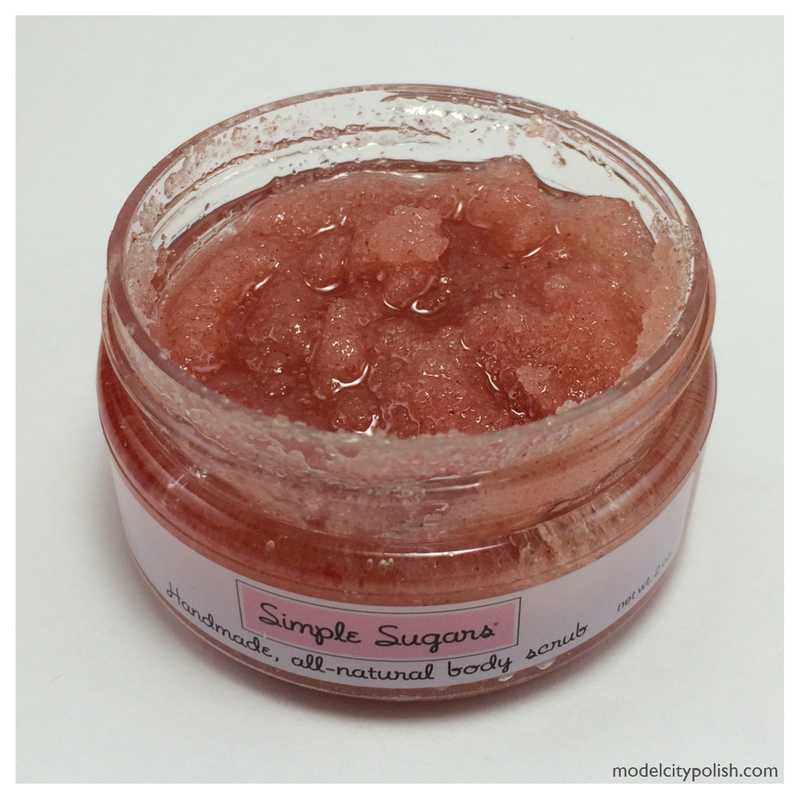 First up I would like to share the Simple Sugar Body Scrub in the strawberry scent. First starters, the smell is AMAZING!!!! As soon as I smelled it, I was transferred back to my childhood and thoughts of Strawberry Shortcake. The product is super easy to use and my hands felt amazing after use. Separation will occur so you will need to stir well before use. They include a tiny spoon for stirring and scooping, which is a huge plus in my book since I have long nails. Next up we have the Green Tea Facial Scrub. Again the smell was fantastic and a great wake up scent for first thing in the morning. 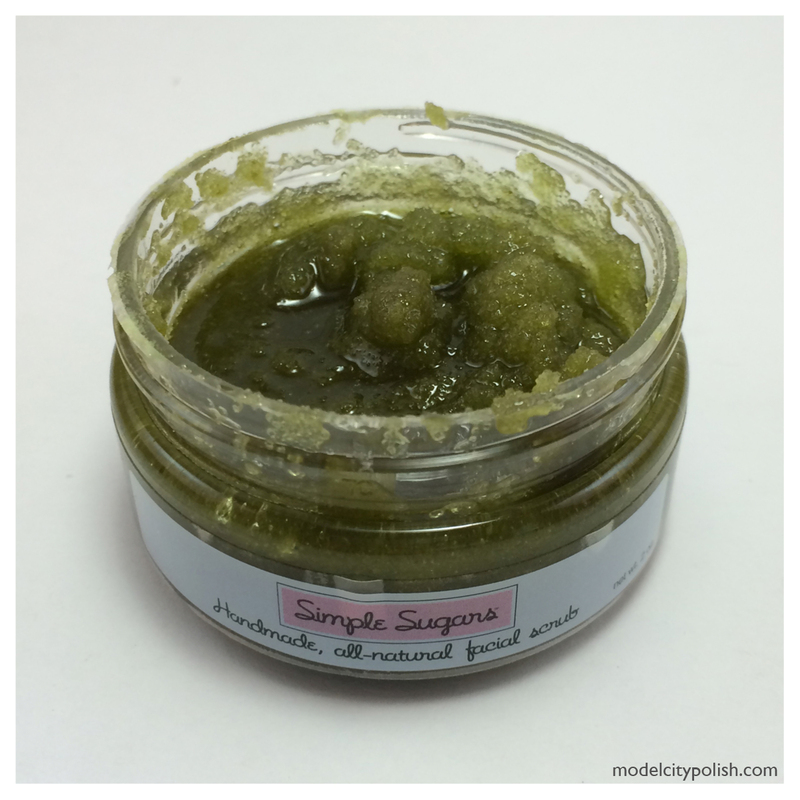 The scrub was fantastic at exfoliating the skin but without irritating it. Now the only downside I had was it was very oily feeling, even after rinsing. I followed up with some oil blotting sheets afterwards and that seemed to help. I may try using less and a washrag for pulling the excess oil off for future uses. That being said, winter months I am going to love this stuff! 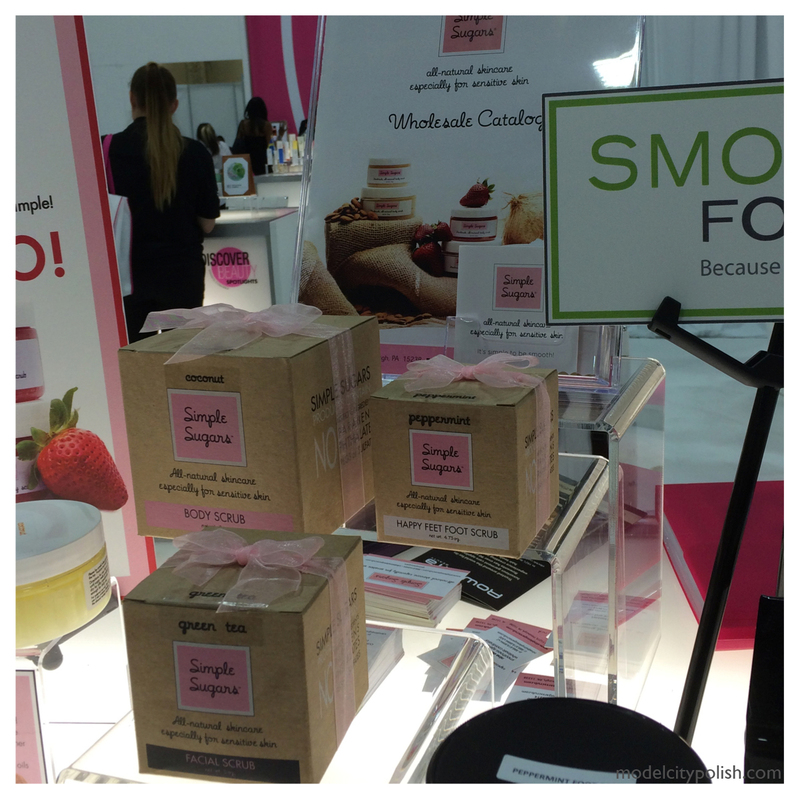 These products were provided as a press sample but that does not influence my review. The name is really cute. 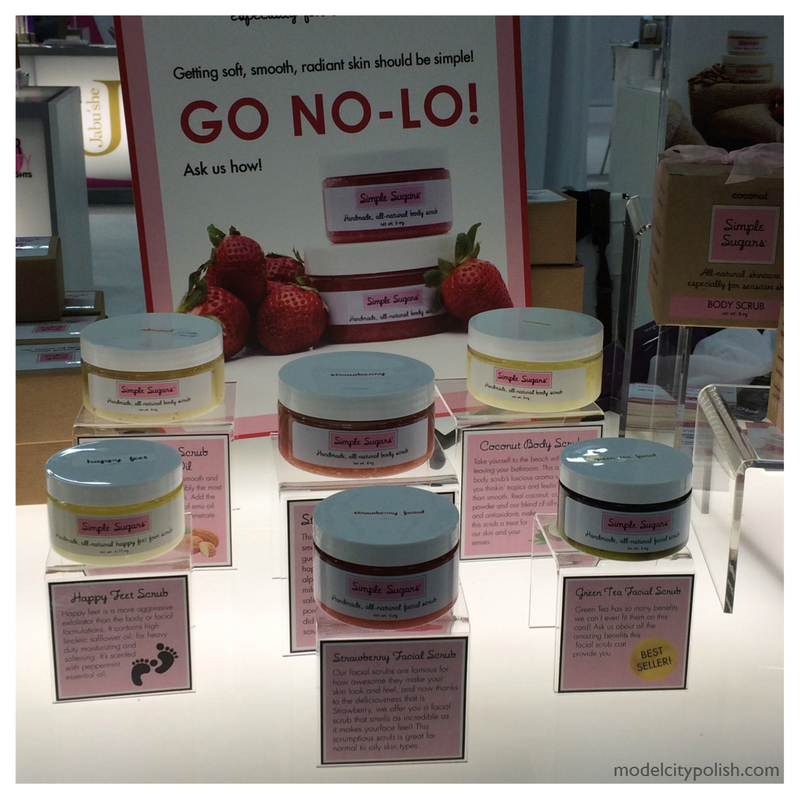 That strawberry scrub reminds me of strawberry jam!